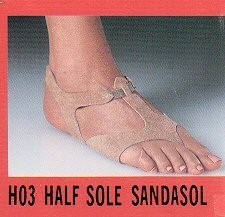 The half sole is a long time favorite for modern and lyrical dance. A suede upper with elastic strap hug the foot while the leather sole protects the foot. The half-sole gives the foot a very clean look for performing.